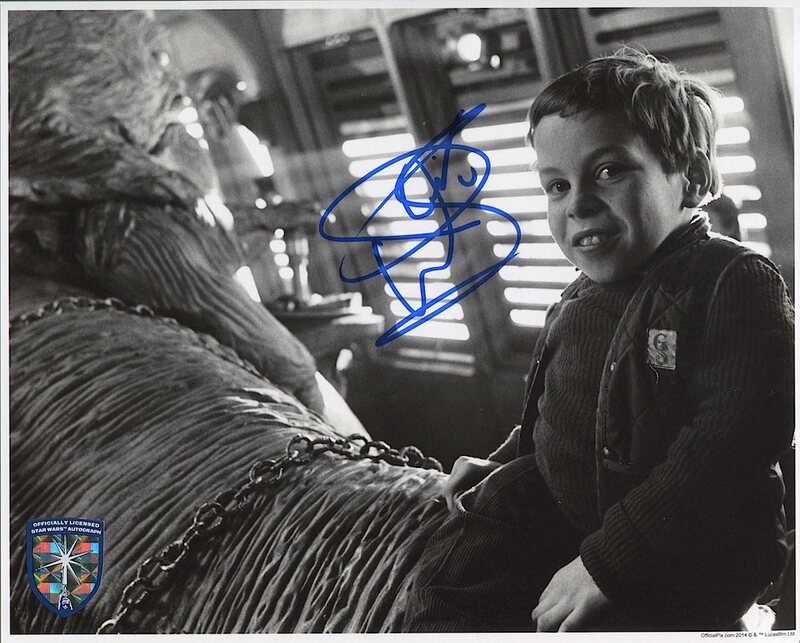 Warwick Davis got his start at 13 playing Wicket the Ewok in Return of the Jedi. He was apparently just slated to be a background ewok when R2-D2 actor Kenny Baker, who was originally supposed to play Wicket, got sick. It’s hard to imagine what it must have been like to be able to be in a Star Wars movie at that age. He was still young enough to be interested in the toys, as this letter he wrote to George Lucas after the product attests. He wrote, “I hope this is not too rude of me to ask you, but would it be possible for you to send me the very latest figures and walkers — I was hoping very much that there may be an ‘ewok’ or ‘Jabba the Hut’ (sic).” But despite his young appearance, he was a 13-year-old boy and probably not entirely oblivious to something like having Carrie Fisher as Slave Leia hug him. I thought this shot of him sitting on Jabba’s tail during a visit to the Sail Barge set was adorable, and an angle of the Jabba puppet that you don’t see very often as well.